The Humminbird 998C is often lauded as among the more advanced fish finders available on the market these days. This is often due to its amazingly unique features, as well as its other aspects, including its user-friendliness. Therefore, it can easily be used by both amateurs and professionals. The manufacturer, Humminbird, was able to make good use of the newest technology to make sure that it can actually compete with the other options that are being offered by other brands. As suggested by the name, the primary function of this model is to help anglers find the most suitable sites for fishing. It is extremely functional because it is not just for chart plotting as well as tracking, but also involves depth, GPS speeds, temperature, as well as both side and down sonar imaging. Diagonal screen which measures up to 8 inches, equipped with brilliant colors, thus resulting in high-quality display. Fitted together with 83/200 kHz double bean sonar, as well as a capability to transmit up to 1000 watts. Both down and side imaging sonar equaling to 455 kHz. This assists in making images of bigger sea floor sections. GPS map plotting which is equipped with external antenna along with highly advanced features on its fishing system. Fitted to come with a contour XD map that covers a huge portion of the entire USA coastline, including inland lakes and rivers. The charts also enable users to see coastal navigation lights as well as canals. Comes with internal memory which is able to cover up to 2750 waypoints, 50 trails, as well as 45 courses. Each trail comes with 20000 points. Some optional network units come equipped with exterior GPS antenna, weather sense barometer, as well as cannon link which can control down rigger. Its unique sonar features also comes with freeze frame, echo enhancement, divided screen zoom, sonar window as well as real time image update. The unit comes with a double SD card slot which allows strong video recordings of different images, as well as pictures which can be used for future reference. Regular updates on software are available for enhanced functionality. The price is on the expensive side, and may even be considered as too expensive for an average fisherman. The LCD screen may easily get smudged and attract dirt as you move your fingers on the surface. This issue may be corrected easily with the use of a screen protector. 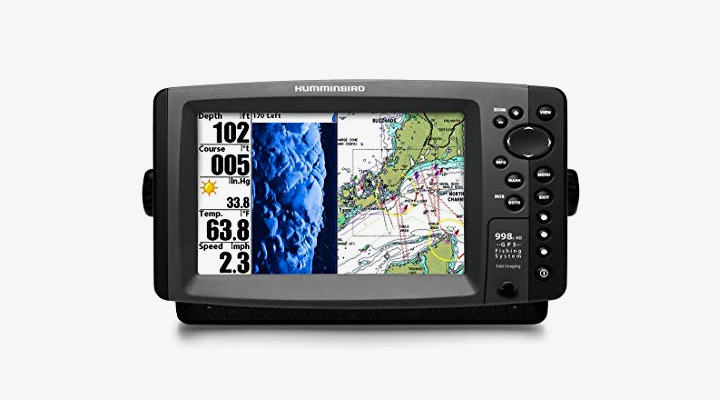 The Humminbird 998C was created with the latest technology. It has different features which make it extremely unique, user friendly, as well as effective. As a result, it has become really popular in different places in the world. However, the actual price of this model is not really that affordable. At $$, it may not even be suitable for the common fisherman. However, if you take this craft seriously and are planning to invest in a really advanced fishing product, this product comes highly recommended. There are also other options that you can choose from when choosing the best fish finders. For instance, you can opt for a Lowrance product, especially if you are searching for more affordable options. One model that is also preferred by many is the Lowrance HDS 10 Gen 2, which comes with features such as Trackback ability, SructureMap, StructureScan and many more. Another interesting option from the same company is the Lowrance X4 Pro model, which is equipped with several features, including automatic tuning that makes it possible to get the best image possible. It also comes with a more defined bottom composition as well as improved target separation. 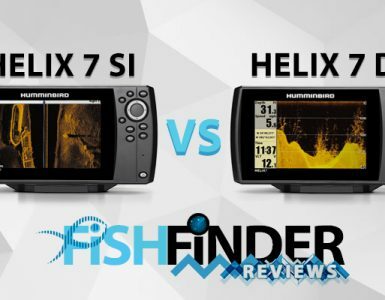 Still, these products do not compare to the advanced features offered by Humminbird 998c. This model is perfect for anglers who are looking into investing in good equipment for their craft. You will not be sorry about your investment. The Humminbird 998C has easily become one of the highly preferred fish finder options on the market these days. For several years, this model was not really familiar, but they have quickly made a resurgence as one of the primary brands on the market. Most people like to call these as hummingbirds simply because their sonar was weak, and they also came with a lot of interference that made using it a little inconvenient. With the advancements in the Humminbird 998C, charter captains crossing the main lakes have recognized that this model provides a unique competitive advantage compared to other major competitors. 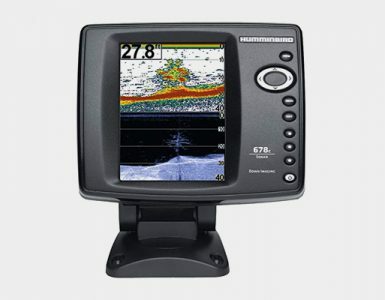 Humminbird 998C model screen also comes with a great resolution, and is often a bit wider than other models that also provide GPS images as well as a great sonar. Users may also read the screen coming from different corners of the boat. On top of that, it also offers advanced data which can prove to be useful to the captain. The functionality of the GPS plotter is completely useful, and at the same time nicely complements other units. In addition, it also comes with a new feature called 3D charts mode. This is a very interesting technology that offers boaters a highly improved view from the bottom. 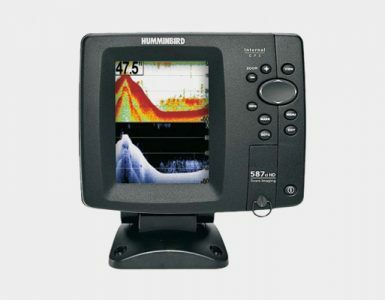 The Humminbird 998C was developed in a unit class 8 inch display. This display stands out with its complete features where side image with 800 kHz provides some of the best sonar images that are available to different fishermen. Even though 360 sonar options is the best additional feature which offers and image surrounding the boat, if you take this model into consideration, you will certainly not be upset because this fish finder is one of the more highly preferred tools used by many fishermen.